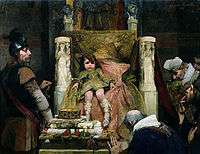 "Hommage to [the Child-King] Clovis II", by Albert Maignan, 1883 (Musée des Beaux-Arts de Rouen). 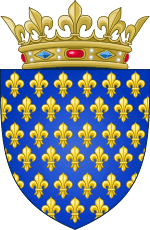 Clovis II (637 – 27 November 657 or 658) succeeded his father Dagobert I in 639 as King of Neustria and Burgundy. 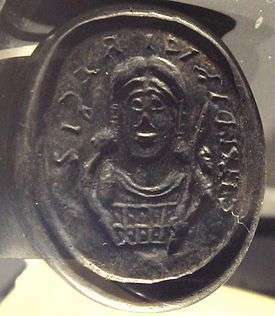 His brother Sigebert III had been King of Austrasia since 634. He was initially under the regency of his mother Nanthild until her death in her early thirties in 642. This death allowed him to fall under the influence of the secular magnates, who reduced the royal power in their own favour. Clovis' wife, Balthild, was an Anglo-Saxon aristocrat sold into slavery in Gaul. She had been owned by Clovis' mayor of the palace, Erchinoald, who gave her to him to garner royal favour. She bore him three sons who all became kings after his death. The eldest, Chlothar, succeeded him and his second eldest, Childeric, was eventually placed on the Austrasian throne by Ebroin. 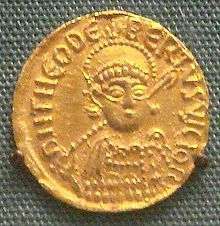 The youngest, Theuderic, succeeded Childeric in Neustria and eventually became the sole king of the Franks. Clovis was a minor for almost the whole of his reign. He is sometimes regarded as king of Austrasia during the interval 656–57 when Childebert the Adopted had usurped the throne. He is often regarded as an early roi fainéant. Clovis II was buried in Saint Denis Basilica, Paris.